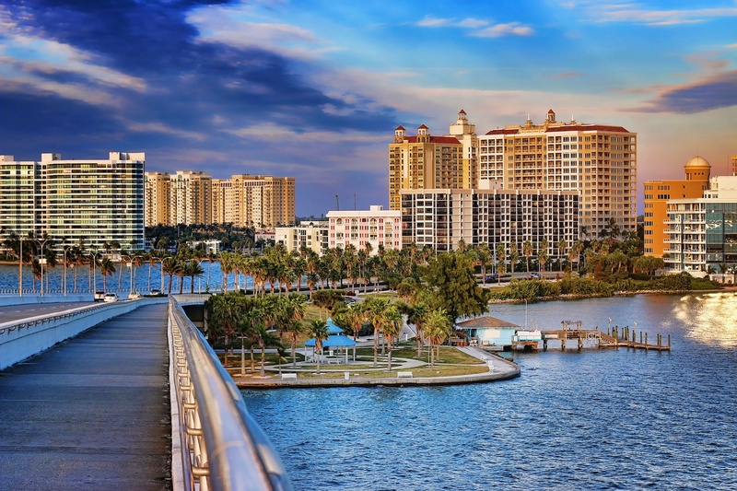 THE BEAUTY, CULTURE AND RICHNESS OF SARASOTA SURROUND YOU. Hear what makes Sarasota, Florida the #2 best place to retire and the highest Well-Being Index score across the 100 most populous communities in the U.S. Rolling white-sand beaches and sparkling azure waters combine with a sophistication and charm to make Sarasota the gem of Florida’s Gulf Coast. Just minutes from its front gates, Sarasota is a fitting urban accompaniment to the tranquil charm of The Founders Club. It’s only a short drive to the beautiful beaches of Siesta Key or the legendary shopping of St. Armands Circle. You’ll appreciate being comfortably close to Sarasota’s cultural hub with galleries, art festivals and shopping – all just minutes away. Known as Florida’s Cultural Coast, Sarasota is defined by creativity and the arts, including the Ringling Museum of Art, a renowned symphony, ballet and opera. Sarasota also has a wide range of theaters to visit, including the country’s oldest operating dinner theater. If music is more your scene, you can visit the Van Wezel Performing Art Hall and experience an expansive variety without having to travel far from home. The center of the Theater & Arts District offers a world of experiences. Just off Main Street, discover Palm Avenue’s fine art galleries, the famous antique and retro collectible shops of Pineapple Avenue, and the picturesque Sarasota bay front. Shoppers bask in the world-renowned boutique shops of St. Armands Circle. And just eight miles from The Founders Club, is The Mall at University Town Center, featuring Neiman Marcus, Nordstrom, Saks Fifth Avenue and many more of the world’s premier retailers. From quaint sidewalk cafes to world-renowned restaurants, there’s a taste for every palate at any time of day. With a huge diversity of superlative restaurants along Main Street and Palm Avenue, downtown Sarasota is the perfect setting for those who enjoy an active, exciting, and upscale environment. For those who crave the outdoors, Sarasota is home to boundless natural resources. 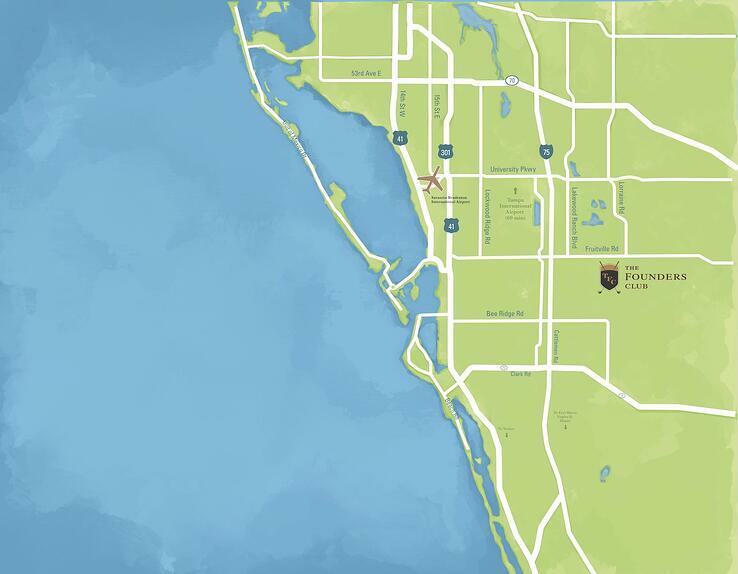 From the pristine, powder-soft beaches of Siesta Key to offshore and flats fishing in the Gulf of Mexico and Sarasota Bay to the unspoiled landscapes of Oscar Scherer and Myakka State Parks, Sarasota is a vibrant and beautiful place to call home. Naturalists will love nearby Marie Selby Botanical Gardens, adorned in tropical plants from bamboo to colorful bromeliads to exotic orchids. Explore Sarasota’s most prestigious locations.